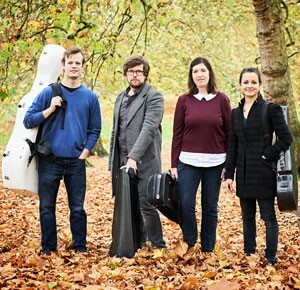 In 2018 the Castalian Quartet received the prestigious inaugural MERITO String Quartet Award & Valentin Erben Prize and won a Borletti-Buitoni Trust Fellowship Award. This season the Quartet gave debut concerts in America’s Lincoln Center, Montreal’s Salle Bourgie and Vienna’s Konzerthaus Vienna. Returning by popular demand to Deal, they perform a classical programme of works by Haydn, Fanny Mendelssohn and Beethoven’s 2nd Rasumovsky quartet.